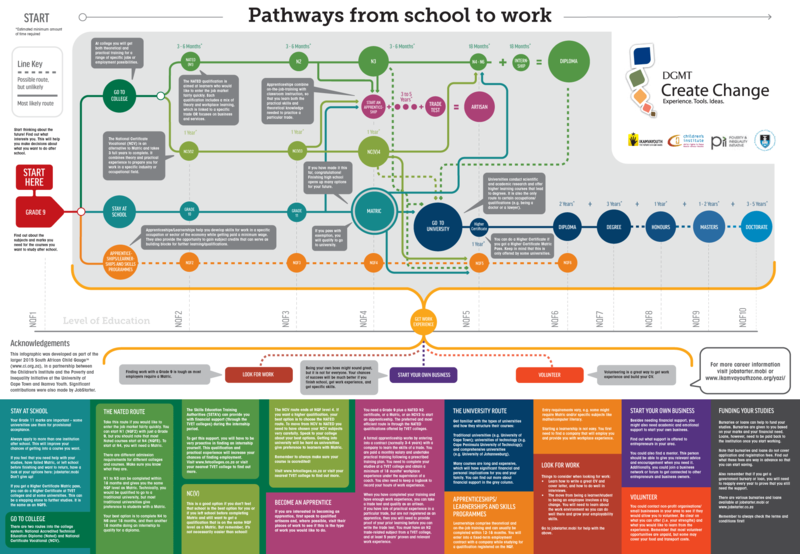 The Pathways from School to Work map is a visual presentation of the pathways through the educational system, from grade 9 onwards, into higher education or into the world of work. The post-school education landscape in South Africa is remarkably complex and learners and their parents often struggle to understand and compare the different options available to them. This map offers a birds-eye view of all the available options while providing the most important information that should guide decisions about educational or career trajectories. The map is meant to support young people in their choices around education and career trajectories; it is also ideal for career counsellors, teachers, parents, and NGOs as a tool to help orientate and facilitate discussion with young people about the different post-school alternatives. Yazi – an interactive map of the pathways from school providing useful information and links to key information. JobStarter – a mobile one-stop shop of information, work readiness learning and connections to jobs. The Pathways from School to Work map builds on the extensive research conducted by The Poverty and Inequality Initiative, the Children’s Institute at the University of Cape Town, in partnership with IkamvaYouth as part of the development of the South African Child Gauge, 2015 and the development of the Yazi information portal. 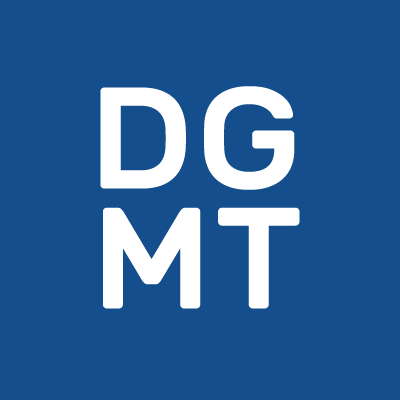 The development of the map was also greatly assisted by the inputs of JobStarter.